Thankfully, we see no end in sight for the ever-growing cannabis industry. In such a booming business, cannabis products will continue to need bold and eye-catching packaging that emotes the product within. You’ve seen unique designs previously in this series for flower, concentrates, vaporizers, topicals, and edibles. Below, we dive into some amazing concept designs we would love to see on the actual shelves of dispensaries. Here’s to the future of cannabis and the packaging it comes in! 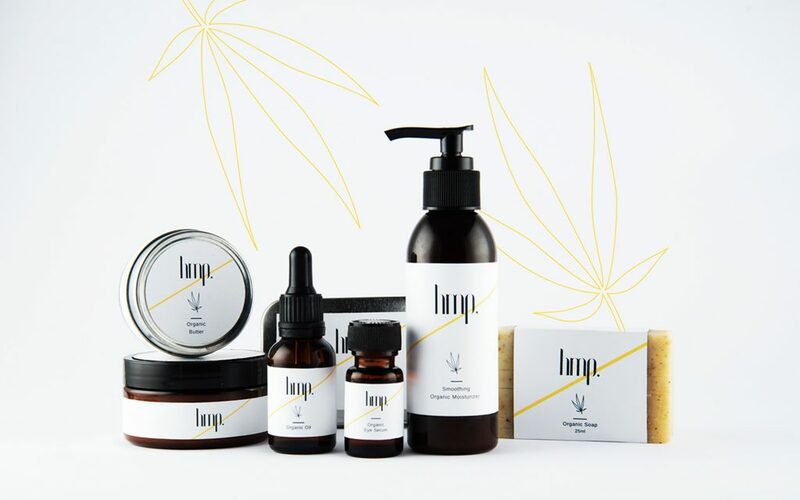 Surface Magazine asked a few design houses to reimagine the look and feel of the stoner-stereotype packaging that tends to plague certain cannabis companies. 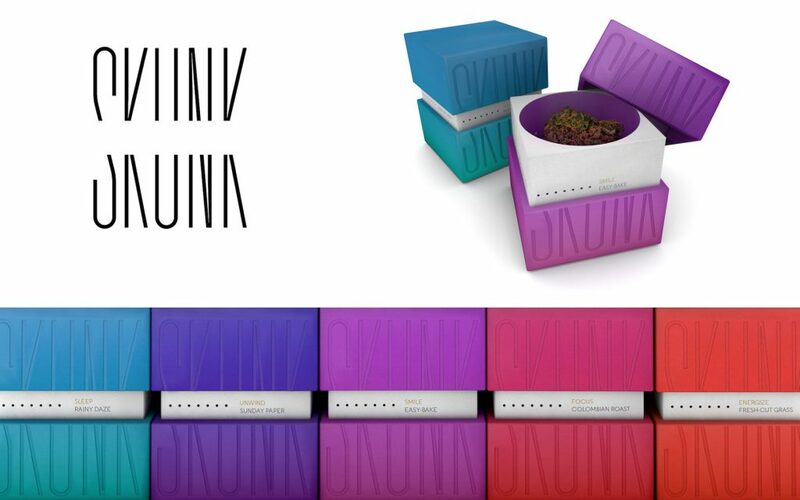 Within their list, SKUNK by Original Champions of Design especially caught our eye – the deep, colorful tones are meant to complement the potent flower within. 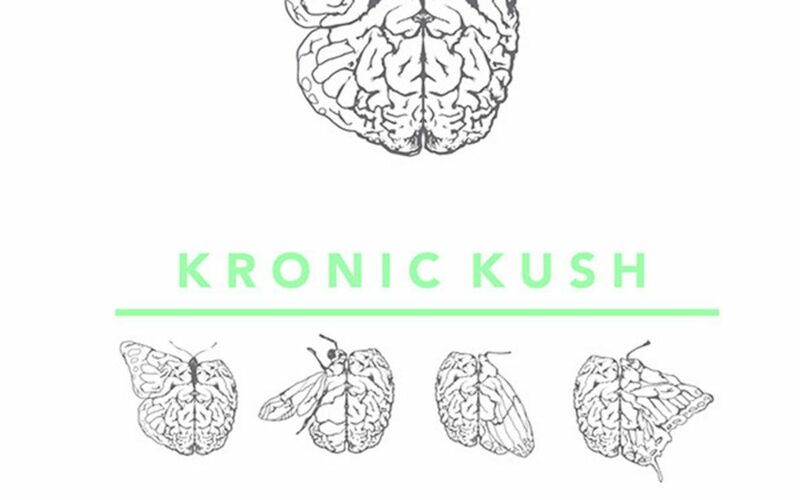 The Kronic Kush concept is equal parts weird and intriguing — designer Latika Nehra hit it out of the park with this eccentric take. We can clearly see the butterfly and brain mesh paying tribute to cannabis’s creative and cerebral effects. 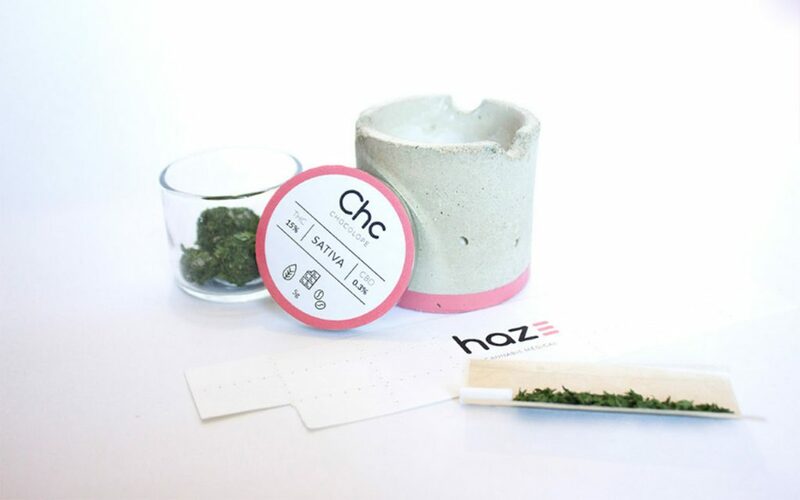 Cannabis flower gets a bit more industrialized with Manon Louart’s imaginary cannabis line, Haze. The pastel colored labeling offers a wonderful juxtaposition to the hardened concrete holding little jars of flower. Emi Sato knows how to get to the root of simplicity and deliver a packaging concept that is neither loud nor overbearing. 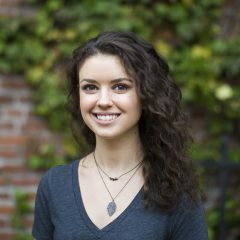 Her take on a hemp-based beauty line called hmp. is delicate and oh-so-homey — and we wish it was lining our bathroom cabinets right now. 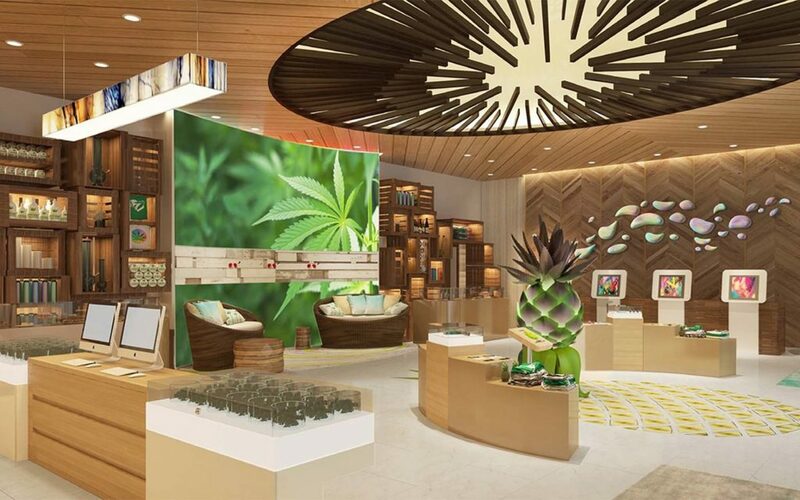 This particular design concept doesn’t refer to a product, but rather to a potential dispensary and lifestyle brand Pineapple Express, Inc. The McBride Company jumped on the cannabis train to roll out the conceptual space dedicated to the ever-popular hybrid strain Pineapple Express. Keep your fingers crossed that the retail experience may come to fruition in the near future.